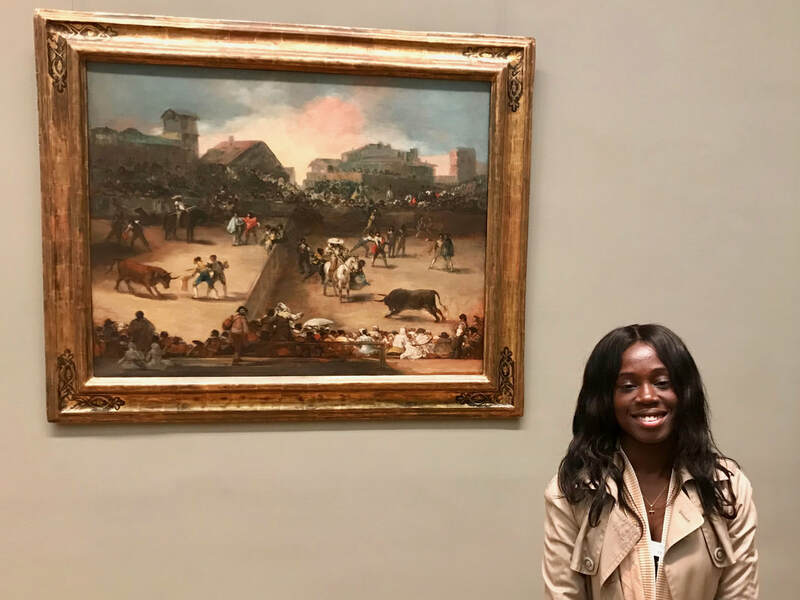 ​“Bullfight in a Divided Ring,” also known as “Bulls of Bordeaux,” is an 1825 oil on canvas attributed to iconic Spanish artist Francisco José de Goya y Lucientes, and on permanent display at The Metropolitan Museum of Art in New York City. Born on March 30, 1746 in Fuendetodos, Spain, Goya began painting at a young age and soon was selling his countless religious paintings to Spanish churches and cathedrals. He gained recognition for it. 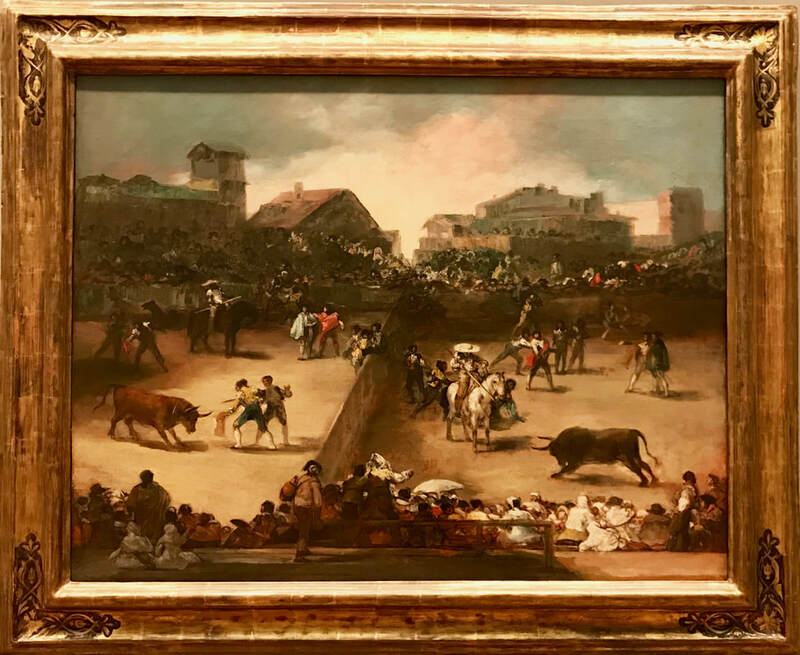 But this painting, from his elder years, depicts two consecutive bullfights, divided by a fence, in one single bullring. One might call it, “two for the price of one.” On the left side, a bullfighter is charging a bull with a sword. And on the right, another bull is taunted by bullfighters with firecrackers. While bullfighting was a frequent Goya theme, especially in a celebrated 1816 series of prints called Tauromaquia, this painting was one of four lithographs published in 1825, while he was exiled in Bordeaux, France. “Bullfight in a Divided Ring,” is on permanent exhibit in Gallery 612 at the MET, 1000 Fifth Avenue, in Manhattan.